These interests probably have something to do with my personal biography. I am a first generation ‘education migrant’ whose parents migrated to Australia at the tail end of the 1970s, their postcolonial dream unraveled by the cultural politics of new nationhood. We came to live in Western Australia at the end of one mining boom (this one was Japan driven), and the start of a major economic restructuring project that would transform the Australia economy, and the lifestyles and livelihoods of many of its citizens. I finished high school and then majored in Microbiology at the University of Western Australia, before working for two years in a genetics laboratory on the molecular aspects of change in anaerobic bacteria. I subsequently moved disciplines to the social sciences, completed a degree in Social Work, and worked for a decade in a number of areas ranging from child protection and juvenile justice to ‘educational development assistance’, multicultural counselling, refugee settlement and international student advising. In 1999, I commenced my PhD studies. My thesis investigated the workings of the education export industry using postcolonial and poststructuralist frameworks. It critically appraised the concept of globalisation and its use to govern international education. Through this work, I developed an interest in the different actors in the cast of globalization - international students, transnational scientists, and refugees and asylum seekers. My more recent research has focused on emerging education hubs in Singapore and Malaysia and the transnational mobilities of ‘knowledge workers’ recruited to these emerging knowledge spatialities. I am also investigating the temporal reach and recontextualisation of colonial knowledges and practices on assembling ‘postcolonial’ subjectivities in the context of Southeast Asia. I have a strong interest in empirical work and welcome enquires from students who are interested in deep and substantive engagement with theoretical frameworks. Being a cultural, professional and disciplinary hybrid, I am keen to work across disciplines. Inbound and Outbound Student Mobility, Funded by the University of Queensland. Sidhu, Ravinder (2019) Reclaiming schools as spaces of hope. Ethos, 27 1: 14-16. Transforming Bangladeshi higher education through the Higher Education Quality Enhancement Project: An investigation of problem representations. Sidhu, Ravinder Kaur Universities and globalisation: To market, to market. Mahwah, NJ, U.S.A.: Lawrence Erlbaum Associates, 2006. Sidhu, Ravinder (2010). The 'Singapore Sling': When world class universities come to town. In Jill Blackmore, Marie Brennan and Lew Zipin (Ed. ), Re-positioning university governance and academic work (pp. 35-51) Netherlands: Sense Publishers. Cheung, Wing-leong and Sidhu, Ravinder (2001). A tale of two cities: Globalisation, education, and governmentality in Singapore and Hong Kong. In Ros Capeness, Anne Kolatsis and Annette Woods (Ed. ), Creating New Dialogues: Policy, Pedagogy and Reform (pp. 127-136) Flaxton, Qld: Post Pressed. Sidhu, Ravinder (2015) Beyond neoliberalism: universities and the public good. Australian Review of Public Affairs, . Supporting refugee students in schools: What constitutes inclusive education? Sidhu, R. (2008) Risky custodians of trust: Instruments of quality in higher education. International Education Journal, 9 1: 69-84. Educational provision for refugee youth in Australia: left to chance? Ravinder, Sidhu and Christie, Pamela H. (2007) Spatialising the scholarly imagination: Globalisation, refugees and education. Transnational Curriculum Inquiry, 4 1: 7-17. Sidhu, Ravinder (2006) How to assemble a knowledge economy: Singapore's transnational education project. Perspectives in Education, 24 4: 45-56. Sidhu, Ravinder and Matthews, Julie (2005) International education for what? Under what conditions? The global schoolhouse project. Social Alternatives, 24 4: 6-12. Christie, Pam and Sidhu, Ravinder (2004) How we treat our strangers? Working in schools. Education Links, 68 34-37. Sidhu, R. (2003) Book Review: The schooling and identity of Asian girls. Australian Educational Researcher, 30 2: 121-123. Christie, Pam and Sidhu, Ravinder (2002) Responding to globalisation: Refugees and the challenges facing Australian schools. Mots Pluriels, 21 1-11. Sidhu, Ravinder and Christie, Pam (2002) Sticks and stones will break my bones -- and words will harm too: Australia's provision of education for asylum seeker children in detention. Social Alternatives, 21 4 (Spring): 11-16. Learning and working with bodies in skilful performance. Dall'Alba, G., Sandberg, J. and Sidhu, R. K. (2015). Learning and working with bodies in skilful performance.. In: European Conference on Educational Research, Budapest Hungary, (). 8-11 September 2015. Dall’Alba, Gloria and Sidhu, Ravinder (2013). Undergraduate students on the move: academic staff perceptions of short term mobility programmes. In: Joint AARE 2013 Conference Proceedings. AARE 2013: Australian Association for Research in Education Annual International Conference, Adelaide, SA, Australia, (). 1-5 December, 2013. Dall'Alba, G. and Sidhu, R. (2012). Undergraduate students on the move: a comparative analysis of inbound an doutbound mobility programmes. In: Jan Wright, AARE 2012 Conference Proceedings and Program. AARE-APERA 2012, Sydney, Australia, (). 2-6 December 2012. Dall'Alba, G. and Sidhu, R. (2012). Undergraduate students on the move: short term mobility programmes 'down under'. In: European Conference on Educational Research 2012 (ECER 2012), Cadiz, Spain, (). 18-21 September 2012. Sidhu, Ravinder and Dall'Alba, Gloria (2007). Transnational Education & (Dis)embodied Cosmopolitanisms. In: Online Program of the 2007 Annual Meeting of the Association of American Geographers. 2007 Annual Meeting of the Association of American Geographers, San Francisco, (). 17-21 April 2007. Sidhu, Ravinder (2001). Postcolonialism and international education. In: Disrupting Preconceptions: Postcolonialism and Education. Disrupting Preconceptions: Postcolonialism and Education, Brisbane, Australia, (33-33). 17-19 August 2001. Cheung, W-L. and Sidhu, R. K. (2000). Globalization and governmentality: Educational changes in Hong Kong and Singapore. In: Education Research: Towards an Optimistic Future. AARE Sydney 2000, Sydney, (38). 4-7 December 2000. Sidhu, Ravinder (2003). Selling Futures: Globalisation and International Education PhD Thesis, School of Education, The University of Queensland. 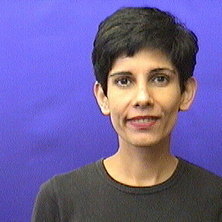 Sidhu, Ravinder Kaur (2003). Selling Futures: Globalisation and International Education PhD Thesis, School of Education, University of Queensland. Note for students: Dr Ravinder Sidhu is not currently available to take on new students.